MOSCOW (Sputnik) - Elon Musk, the CEO of US private aerospace manufacturer SpaceX, called Russia’s rocket engineering "excellent" and said the country’s rocket engines are the best currently flying, also suggesting that the reusable version of Russia's Angara rocket would be "great." According to Russian Deputy Prime Minister Dmitry Rogozin, the first technological equipment for the launch of the Angara heavy class carrier rocket has been delivered to the Vostochny Space Center. 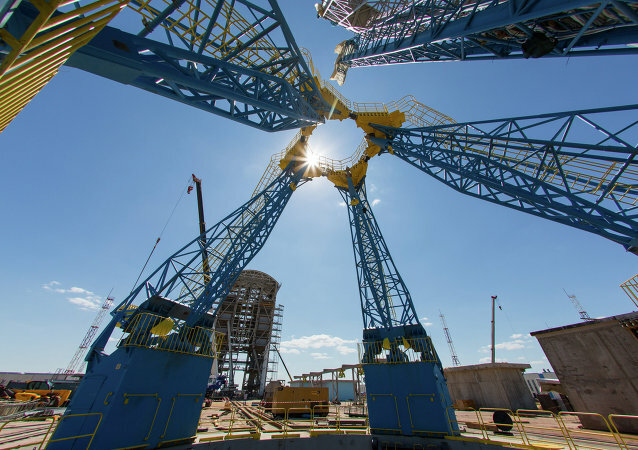 Russia's Angara super heavy-lift launch vehicle should be tested in 2027, Russian Deputy Prime Minister Dmitry Rogozin said Tuesday via Twitter. Russia's Angara heavy-lift launch vehicle can be used for manned flights. A robot-avatar developed in Russia would be able to conduct dangerous works not only on the ground but also in the open space, Russian Deputy Prime Minister Dmitry Rogozin said Friday. On Friday, Energomash confirmed that US missions to the ISS using the Atlas V launch system would use Russian RD-180 engines. 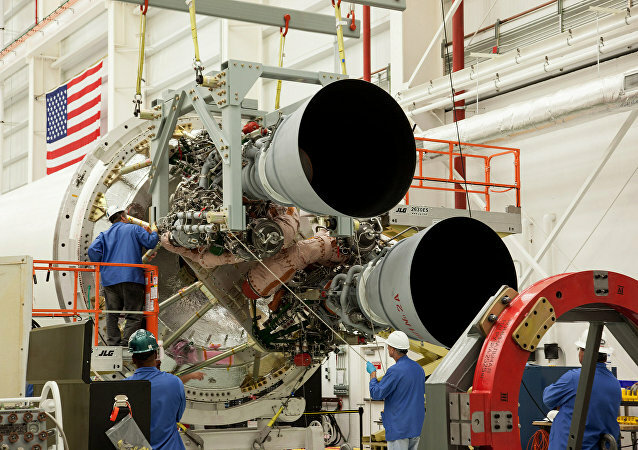 What's more, the company will deliver 14 RD-181s to Orbital ATK between 2017-2018. Industry experts say the contracts are proof that Western countries will buy what they need from Russia, regardless of the political climate. Seoul's aerospace research institute on Tuesday confirmed that the Russian Angara-1.2 carrier rocket will put the South Korean KOMPSAT-6 satellite, also known as the Arirang 6, into orbit in 2020. Russian space agency Roscosmos has postponed the first manned lunar mission from 2030 to 2035, according to the 2016-2025 space program unveiled Wednesday. Russia’s space agency Roscosmos is postponing the first manned space flight from the new Vostochny Space Center from 2018 until 2025, local media reported Monday citing the federal space program. The first launch of a new manned spacecraft on an Angara heavy rocket carrier from Russia's Vostochny Space Center is scheduled for 2023, the head of Russia’s space agency Roscosmos said Friday. Russia’s newest heavy rocket carrier Angara-A5 will orbit a commercial satellite for the first time in 2016, the head of the Khrunichev Center said Wednesday. According to Federal Space Agency Roscosmos, Russia will not develop a super-heavy space launch vehicle in the near future, but will modify a heavy Angara-A5 rocket to lift super-heavy loads. The first launch of the Angara super-heavy carrier rocket is planned for 2021, according to Igor Komarov, the head of Russia's space agency Roscosmos. 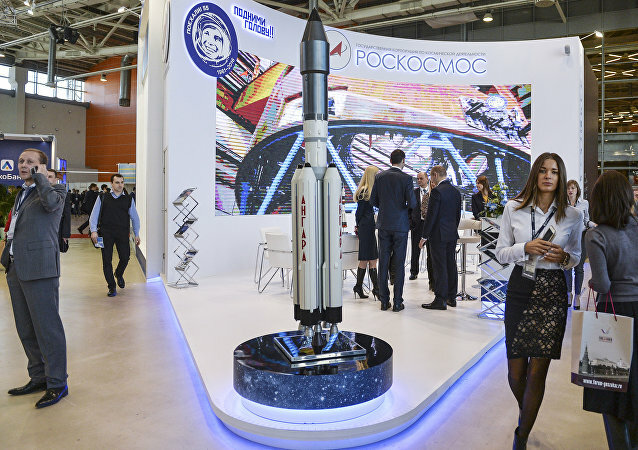 Roscosmos' scientific and technical council recommended the Khrunichev space center (Angara-5 manufacturer) and the Energia space corporation develop a draft design of the Angara-A5V carrier rocket for possible use with prospective space freighters and manned spacecraft in future flights to the Moon. Next launch of Russia’s newest ecologically friendly heavy-class Angara-A5 carrier rocket is scheduled for 2016. 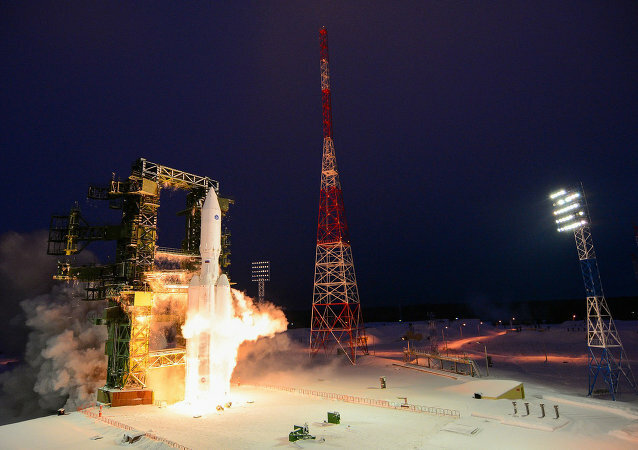 The Angara-A5 heavy rocket was launched by a Space Forces crew from the platform of the Russian Defense Ministry's state test facility in Arkhangelsk Region; the successful launch has already been named a significant milestone. 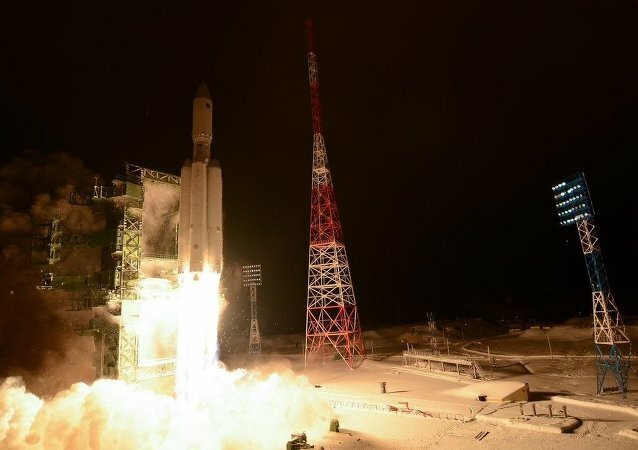 Russia’s newest ecologically friendly heavy-class Angara-A5 carrier rocket has successfully delivered a dummy payload to the geostationary orbit after its maiden launch. Russian President Vladimir Putin stated that new Angara-class rockets will be used to enhance defense capability of Russia and its security partners by putting military and dual-purpose satellites into orbit. Upper stage of Russia's heavy-class Angara-A5 rocket carrier has brought a satellite with a test payload into medium earth orbit. 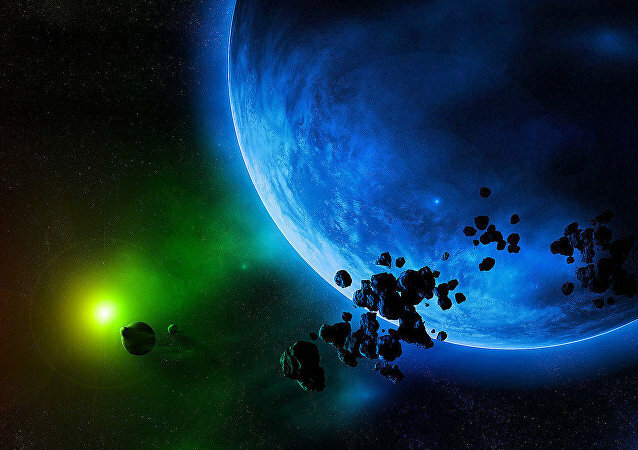 Russia's Angara-A5 launch vehicle has blasted off from the Plesetsk Space Complex in the country’s northwest.